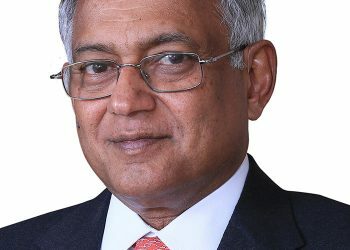 Mr Venu Srinivasan, Chairman of TVS Motor Company has reacted to Budget 2019 - "Tax exemption up to Rs. 5 Lakh per annum income for individual tax payers is a historical step, which will provide more disposable income at hand for the working class - drives more 2 Wheeler sales"
This budget has empowered and increased buying capacity of every sector and segment of people. Tax exemption up to Rs. 5 Lakh per annum income for individual tax payers is a historical step, which will provide more disposable income at hand for the working class. The decision will have an impact and there we expect more buyers of two-wheeler vehicles and in turn help the industry’s growth. The construction of rural roads having an allocation of Rs 19000 crores under the Pradhan Mantri Gram Sadak Yojana will be another boost towards demand for rural economy. Two-wheeler industry in rural sector will also be positively impacted as Rs 6,000 per year cash support to about 12 crore small and marginal farmers will be provided under Pradhan Mantri Kisan Samman Nidhi scheme, which will cost the exchequer Rs 75,000 crore annually.